I have been called a “sissie” and a wimp because I wear them. I have been labeled an “inadequate angler” since I have donned on them. I have been told that I have lost my “bravado” and “edge” when it comes to fishing because I am handling fish while wearing gloves. Here I am wearing rubber fish handling gloves and posing for a quick pic with a walleye I caught before releasing it. Photo by Rich Berggren. 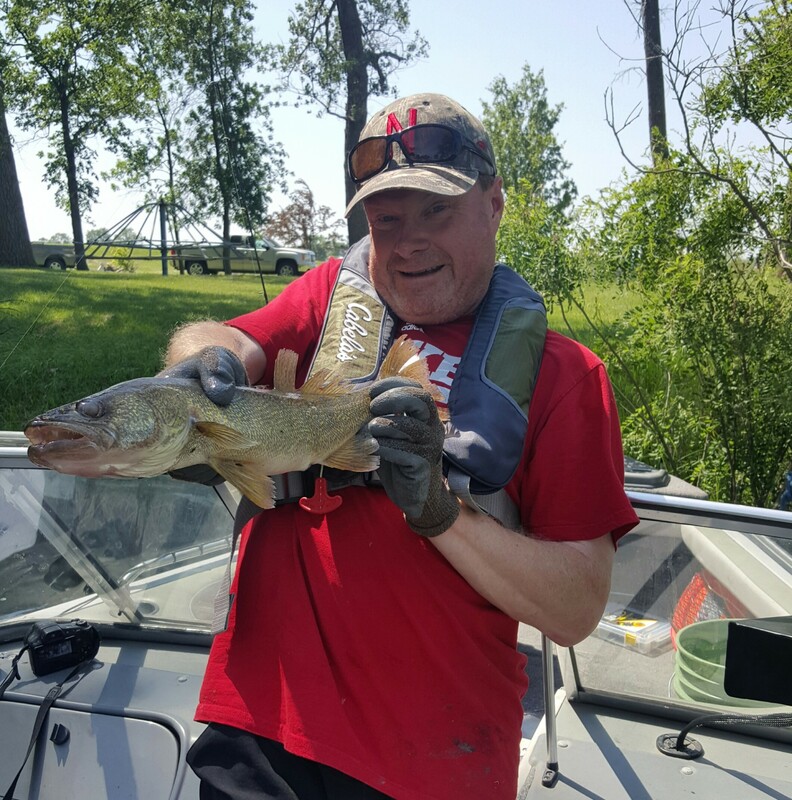 It was even conveyed to my fishing partner, Nebraska Conservation Officer Rich Berggren of Waterloo, that “real game wardens don’t wear gloves to handle fish!” REALLY! 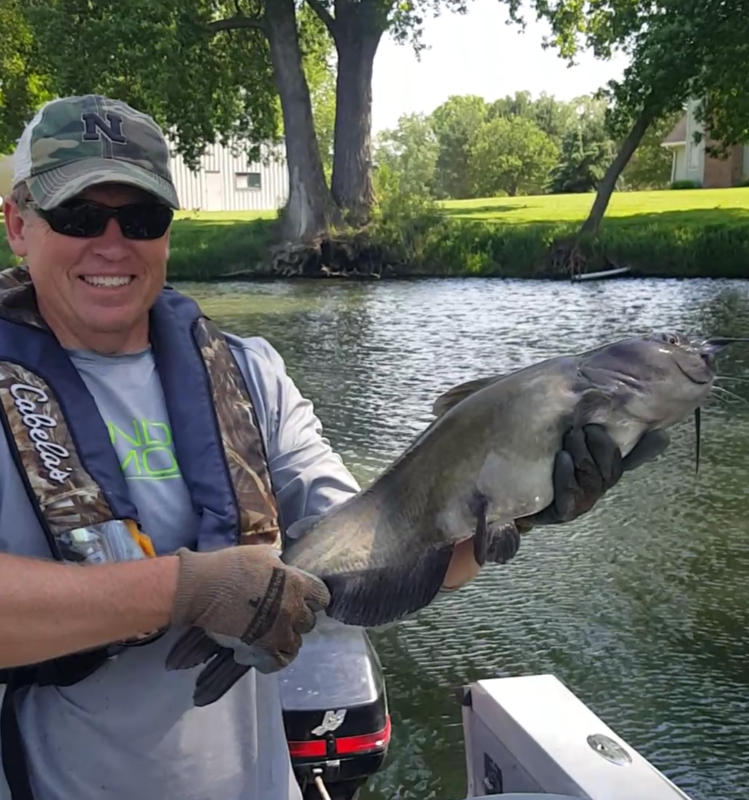 Nebraska Conservation Officer Rich Berggren of Waterloo is pictured wearing rubber fish handling gloves holding a nice-sized channel catfish he landed, then released. 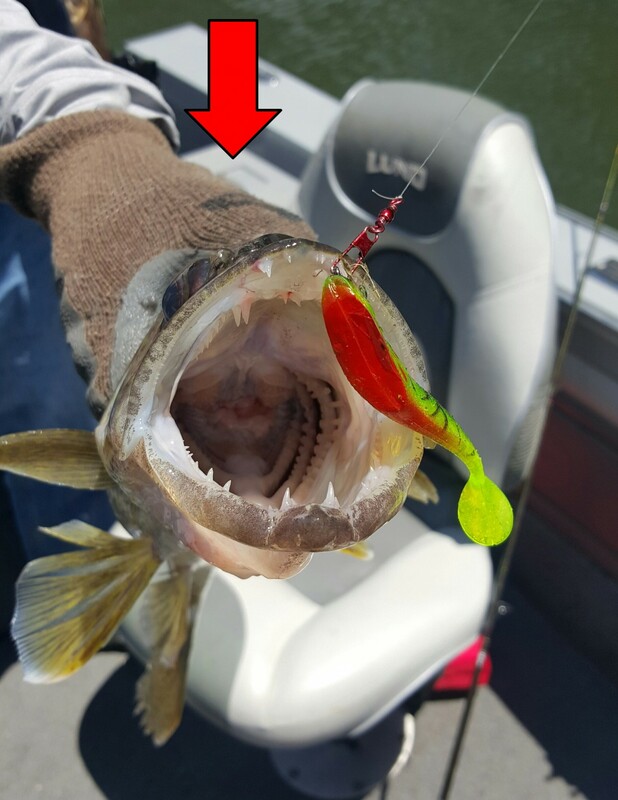 It is critical to wear those gloves when releasing catfish as they have skin and not scales, making them even more difficult to handle. Photo by Greg Wagner. Rich and I can handle the negative comments that have been directed towards us for wearing those rubber gloves, no problem, but the reason we wear them means the betterment of fisheries health. Allow me to explain by putting on my ichthyology (fish science) cap loaned from our own Game and Parks fisheries expert and guru, Daryl Bauer. Fish secrete a mucoprotein protective slime coat that covers the scales and skin. This slime coat acts as a defense against invasion by bacterial, parasitic, and fungal pathogens. Essential electrolytes necessary for osmoregulation are lost through breaks that may occur in the skin and slime coat, causing dangerous stress. Open wounds and abrasions caused by improper handling are readily attacked by disease organisms, resulting in further stress and disease. Every fish has a natural mucoprotein or “slime” coating covering its skin and scales. The slime coating is the fish’s first line of defense against infection. Fish are very easily stressed by handling and changes in their environment. Ideally we should never even touch the fish when the intention is to release it unharmed. Bare hands, especially dry ones, strip the protective slime coat from a fish. In fact, catch-and-release fisheries surveys show strong evidence of fish swimming around displaying the negative effects of protective slime removal from direct and poor handling with human hands. Without rubber gloves, there is also a tendency to squeeze a fish more for a firmer grasp which causes damage to its vital organs. So it boils down to this: Any material that comes in contact with the fish should be of a rubberized material that can be rinsed prior to handling to be minimally abrasive. Possessing that information, I am surprised that more conservation-minded anglers don’t wear those gloves with catch and release fishing, particularly when taking a quick photo of their catch before release. A fish handling glove being used to hold a walleye for a quick pic just before being released. Photo by Greg Wagner. The interface between fish handling gloves and the fish they handle are directly related for the fish’s survival. There is no doubt that fish are extremely slippery creatures. Often getting a handle on one after it is hooked and landed is more challenging than catching it in the first place! As legal, ethical anglers, one of the skills we all need to master is the ability to handle fish quickly and effectively to ensure their best chances for survival. Among the necessary tools to use for accomplishment of this process — a pair of rubber fish handling gloves. Previous Yeah, So It’s Hot?